Pressing the keys C and comma (,). In this lesson of the typing tutor you will practice the keys C and comma ','. These keys are a little bit more difficult to press than the letters 'E' and 'I' of the previous lessons. Anyway, it's not that much complicated. 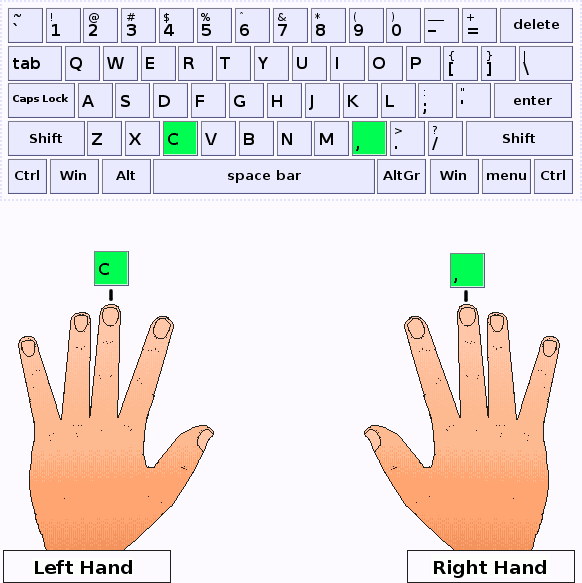 Press all keys with the proper finger and return them to the base row.